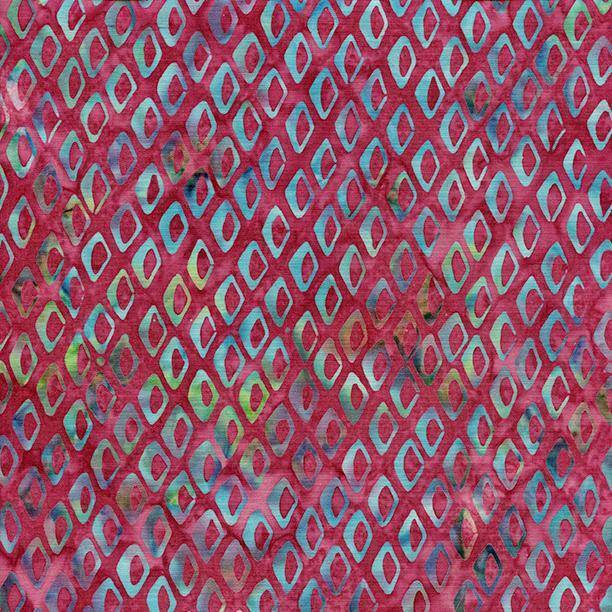 OCEAN ODYSSEY 311803330 Fish Scales Raspberry from Island Batik. Imagine what the ocean is like as you dive into these beautiful batik fabrics! You'll see bubbles, coral, and fish, and you'll feel the waves and currents ebb and flow as you explore the many possibilities for your next project. Batik quilting fabric, 100% cotton material, 44/45" wide. Care: It is strongly recommended that all batik fabrics are washed and dried before use. Wash with like colors on a warm or hot cycle setting. Dry with medium to high heat.